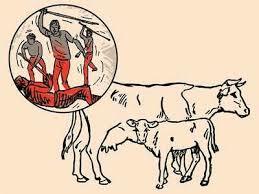 Two cattle traders were brutally beaten by cow vigilantes on Yamuna Expressway while transporting the buffaloes to Hapur. Accused men tried to stop the truck after hearing animal's voice from the truck but the driver didn't stop the truck. The truck was later caught at toll plaza where the two were beaten badly by the vigilantes. Police arrested the victims for carrying 18 (limit exceeded) buffaloes in one truck under Animal Act. Victims are charged under Animals Act for illegally carrying 18 cattle in one truck.